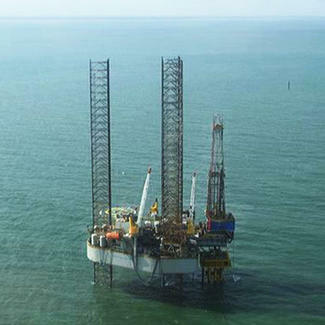 Noble Craighead, courtesy, Noble Corp.
South Atlantic Petroleum (SAPETRO) was drilling ahead to the 16 inch hole section of the exploration well it is probing in the Seme field off Benin Republic as of November 29, 2013. Perle C-1, scheduled to drill to proposed total depth (PTD) of 2,300metres, prefaces the planned, three producer wells that will drain the field. Once the company is done with this probe, it will drill the three producer wells from the same single conductor supported platform, with the jack up rig Noble Craighead. Perle C-1 is located east of the prognosed producer wells. SAPETRO hopes to bring back the Seme field, abandoned in 1997, on stream by mid- 2014. Peak production is expected to be around 6,000BOPD. Seme was shut in after 14 years of production by a succession of companies including Saga Petroleum, Pan Ocean and Ashland. It produced over 21Million barrels and was delivering over several times more water than it was producing oil at the time of field dismantlement. management practices than previous operators. The new data revealed two more culminations (West and Central), apart from the lone (Eastern) culmination which the previous operator produced from, meaning that there’s more bypassed oil than the initial data suggested. A total of 9,000Barrels Of Liquids Per Day(BLPD) is expected to be produced at peak, of which 3,000BLPD will be water and 6,000BOPD is prognosed to be oil. SAPETRO expects the field can still be drained optimally for another 16 years.